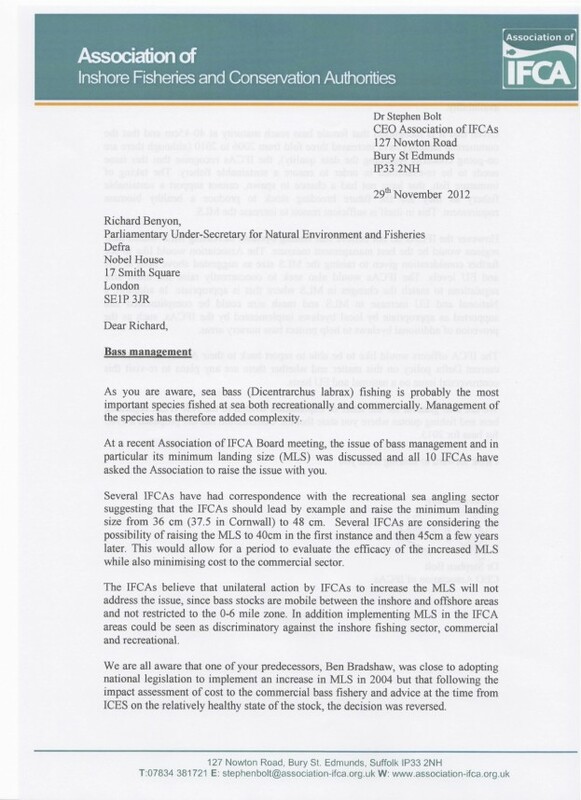 Association of Inshore Fisheries Conservation Authorities letter . . .
Home → Conservation → Association of Inshore Fisheries Conservation Authorities letter . . . 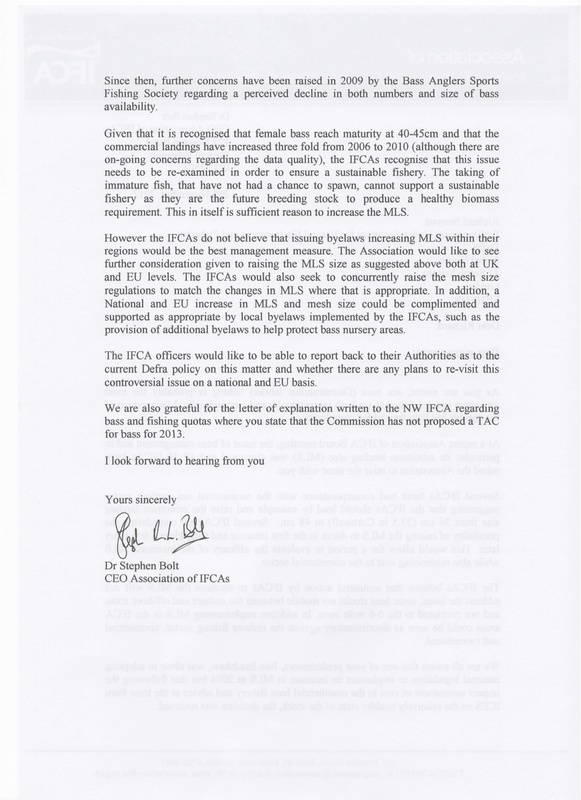 The letter below was written by the CEO of the Association of IFCA’s on behalf of and with the agreement of all 10 IFCA’s. (i.e. it is not anyone’s personal opinion, CEO of the AIFCA or anyone else, rather an agreed joint view from the IFCA’s). We think this is a significant step forward, particularly the second para on page 2 (ignore the threefold increase in landings). BASS welcomes this letter from the IFCA’s (while not necessarily agreeing with all of it). Defra have confirmed to Stephen that their formal review of bass mls is underway. He has not yet received a reply from Richard Benyon. We hope that people realise this is about winning lots of little battles to get us where we want to be and that our arguments are winning arguments outside the bass RSA fraternity.